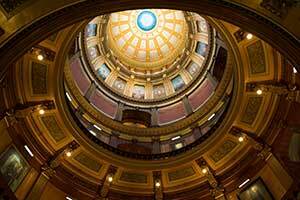 LANSING, Mich. — Sen. Dale Zorn, R-Ida, hosted Lt. Gov. 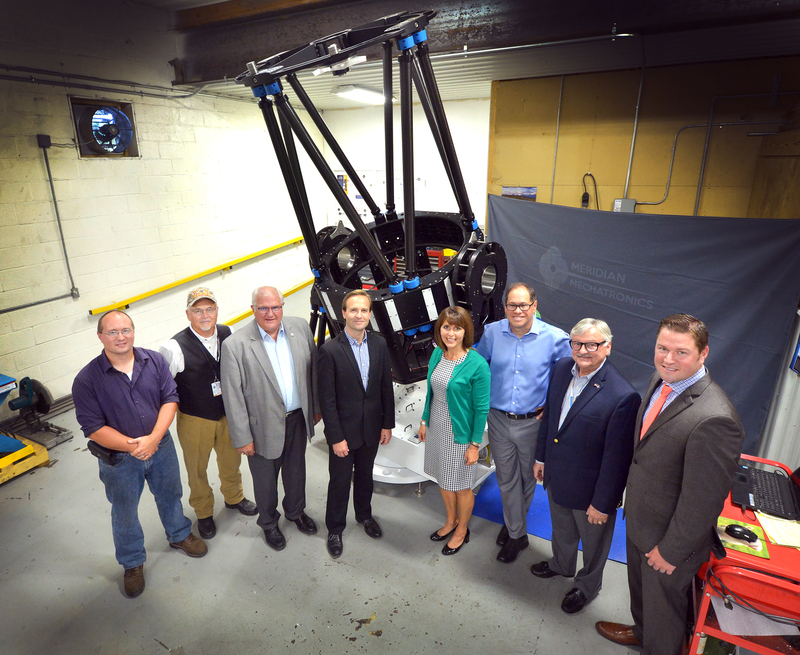 Brian Calley on Tuesday for a tour of Meridian Mechatronics, a telescope engineering and manufacturing firm in Deerfield. During the tour, Meridian Mechatronics President Kevin Iott showcased the company’s advanced process for lens manufacturing and products. Meridian Mechatronics is a wholly owned subsidiary of PlaneWave Instruments and manufactures commercial ground-based telescopes used by consumers, schools and research institutes. PlaneWave telescopes are in high demand to stimulate interest in science, technology, engineering and math (STEM) subjects. The military and the aerospace industry are also employing PlaneWave telescopes to track space debris, asteroids and satellites, and PlaneWave was recently awarded the contract to provide three 1-meter telescopes for the upgrade of the Lowell Observatory Navy Precision Optical Interferometer in Flagstaff, Arizona. Joining Zorn, Calley and Iott on the tour were Rep. Bronna Kahle, R-Adrian; PlaneWave Instruments President Richard Hedrick; Lenawee County Commissioner Bob Knoblauch; Lenawee Now Executive Director Jim Van Doren; and Dustin Krasny, field representative for U.S. Rep. Tim Walberg. Editor’s note: The above photographs are available by clicking on the images or by visiting www.SenatorDaleZorn.com/Photowire.